Fork Lift Truck Training in Ellesmere Port, Cheshire. 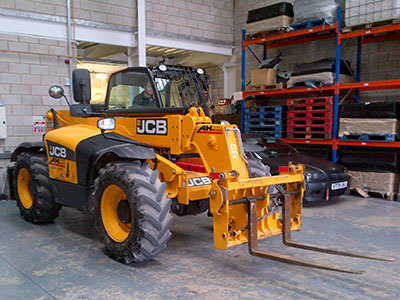 We offer courses on a whole range JCB equipment. The courses are available for men and women over the age of 17 whether they have a driving licence or not. We offer novice courses, intermedate courses, conversion courses and refresher courses for experienced operators looking to renew their licence. Reach Conversion Courses: This is a course delivered with a maximum of 3 people per course. Scissor Lift Courses: This is a course delivered with a maximum of 3 people per course. Electric / Powered Pallet Truck: Course length depending on experience, maximum of 3 people per course. Low Level Order Picker (LLOP): Course length depending on experience, maximum of 3 people per course.